The Elbtower will be the final project at the eastern end of HafenCity. 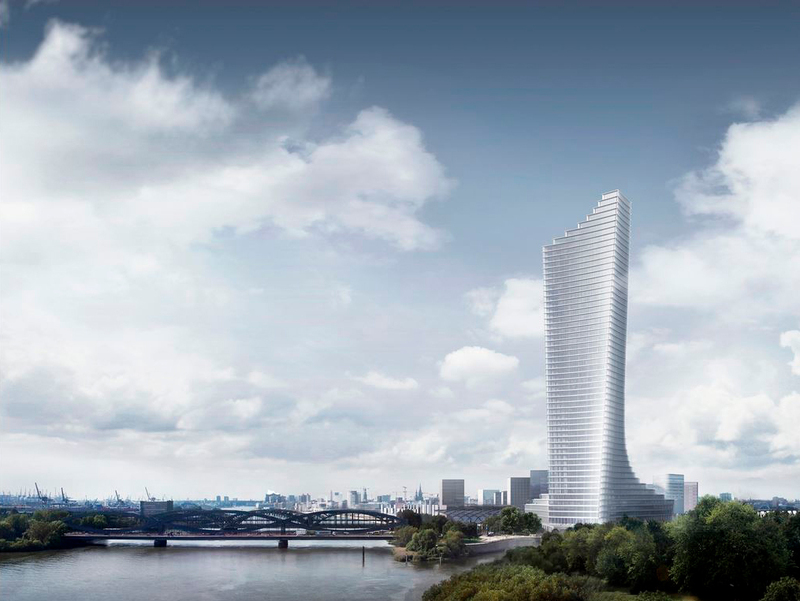 The skyscraper, which is to be built between two River Elbe bridges, will become the tallest building and a self-confident statement of the growing city of Hamburg. The tower will rise up to 240 meters into the sky and is supposed to provide a spectacular view over Hamburg from an observation platform at the top. In discussion is also a restaurant in 200 meters above ground. The mixed use will include offices (approx. 73,000 m², locatedin the tower), hotel and boarding house (approx. 20,000 m² in the base area), retail space and public use (approx. 11,000 m² in the base area) and is supposed to create around 3,000 jobs. Transsolar's KlimaEngineers are work as part of the planning team on optimizing indoor climate concepts, quality of stay and energy supply.